The DNS White Paper articulated four principles (i.e., stability; competition; private, bottom-up coordination; and representation) necessary for guiding the transition to private sector management of the DNS. Are these still the appropriate principles? If so, have these core principles been effectively integrated into ICANN's existing processes and structures? 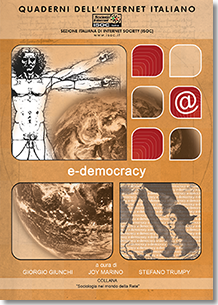 Those four principles are still appropriate and should stay in the charter of an independent ICANN. We observe though that the four principles imply a level of conflicting requirements that have to be harmonized with a continuing effort. Stability is a never ending pursuit and may necessitate long analytical studies before implementing decisions. Competition in a free market has to enlarge the global offer and to satisfy also the expectations of economies of countries outside the Western world. Bottom up coordination requires a never ending effort for collecting opinions from the interested community and to give them due consideration before any decision is taken. Representation is connected to the accountability of ICANN in its multi stakeholder model and has to accommodate the appearance of new constituencies. These core principles have been integrated into ICANN’s existing processes and structures in a more than satisfactory way, taking care of the above considerations. The goal of the JPA process has been to transition the coordination of DNS responsibilities, previously performed by the U.S. Government or on behalf of the U.S. Government, to the private sector so as to enable industry leadership and bottom-up policy making. Is this still the most appropriate model to increase competition and facilitate international participation in the coordination and management of the DNS, bearing in mind the need to maintain the security and stability of the DNS? If yes, are the processes and structures currently in place at ICANN sufficient to enable industry leadership and bottom-up policy making? 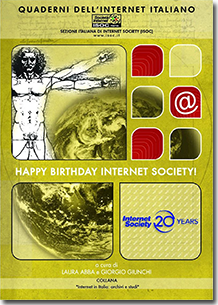 If not, what is the most appropriate model, keeping in mind the need to ensure the stability and security of the Internet DNS? We believe that the ICANN model, as it was conceived and evolved since it’s creation, is the only one that can assure an efficient, reliable and self adaptive way to manage the system of unique identifiers of the Internet. ICANN should not be subject to a governmental supervision and this goes in the direction of the results of WSIS-2 (Tunis agenda). The fact that the supervision of a single government ends should not mean that a multitude of governments should replace the supervision exercised, up to now, by the Department of Commerce of the US Government. We know that the end of the JPA will not change the arrangements of the contract between the NTIA and IANA, through which ICANN staff are authorized to insert domain names to the root zone. It will not change the cooperative arrangement that the US Government has with Verisign Corporation to manage the ‘A’ root server. We have the opinion that the process of internationalizing and managing the unique identifiers of the Internet is a process that will need time and the accomplishment of further steps. We recognize that the completion of JPA is an important step in the direction of the recommendations of the WSIS, that has also a relevant political significance. Since ICANN has been created, no alternative credible models have been agreed nor tested. Not all the governments agree on the principle of the industry leadership accompanied by a bottom up decision making process, but almost all the countries in Western World believe that this is the unique approach that will guarantee the safe evolution of the Internet. 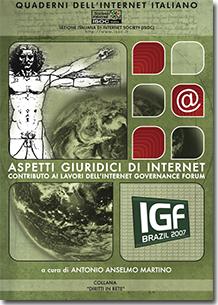 The presence of GAC inside the structure of ICANN will assure that the voice of the governments is heard in the decision making mechanisms of ICANN, maintaining a soft governmental presence, able to intervene only if and when problems arise. 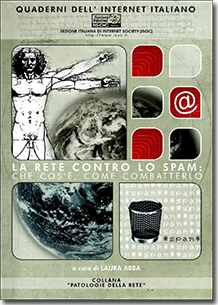 The GAC will have to evolve in order to improve his performance and to contribute to the accountability of ICANN. The original agreement and the first six amendments to the JPA contained a series of core tasks, and in some cases, date-specific milestones. Have these tasks been accomplished and have these milestones been met? If not, what remains and what steps should be taken to successfully address them? The tasks in consideration are de facto moving targets and therefore the judgment is to assert if they have been achieved in a satisfactory way. We have to recall that the process for the internationalization of the management of DNS is a process that will have continuous space for improvements. Our answer is that the tasks have been accomplished by ICANN in a more than satisfactory degree. In 2006, the focus on specific milestones was adjusted to a series of broad commitments endorsed by the ICANN Board as an annex to the JPA. Specifically, ICANN committed to take action on the responsibilities set out in the Affirmation of Responsibilities established in ICANN Board Resolution 06.71, dated September 25, 2006.\12\ Those responsibilities included activities in the following categories: security and stability, transparency, accountability, root server security and relationships, TLD management, multi-stakeholder model, role of governments, IP addressing, corporate responsibility, and corporate administrative structure. What steps has ICANN taken to meet each of these responsibilities? Have these steps been successful? If not, what more could be done to meet the needs of the community served in these areas? 5. maintain its focus on ensuring safe and stable operations relating to the unique identifiers of the Internet. The final recommendation “The Way Forward” has been published on June 3rd to be submitted to the Board, and it is still undergoing public consultations. The Board is expected to conduct a debate at the next ICANN meeting on the last week of June, before adopting or revising the recommended actions. In the mean time the Board has progressed in the 10 responsibilities adopted by the Board in 2006, when the JPA was signed. So, we can say that the steps that ICANN has carried on are in a good progress and have to be considered adequate. The current JPA called for NTIA to conduct a mid-term review. That review revealed that ICANN needed to take further steps to increase institutional confidence related to long-term stability, accountability, responsiveness, continued private sector leadership, stakeholder participation, increased contract compliance, and enhanced competition. What steps has ICANN taken to address the concerns expressed in the mid-term review process? Have these steps been successful? If not, what more could be done to meet the needs of the community served in these areas? The answer is positive. 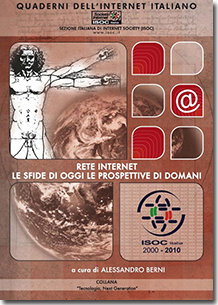 We remember that ISOC Italy gave a positive evaluation of ICANN’s achievements in occasion of the “mid term review”. The JPA between the Department of Commerce and ICANN is an agreement by mutual consent to effectuate the transition of the technical coordination and management of the Internet DNS in a manner that ensures the continued stability and security of the Internet DNS. Has sufficient progress been achieved for the transition to take place by September 30, 2009? If not, what should be done? What criteria should be used to make that determination? We believe that significant progress has been achieved to ensure the continued stability and security of the Internet DNS for the transition to take place. Given the upcoming expiration of the JPA, are there sufficient safeguards in place to ensure the continued security and stability of the Internet DNS, private sector leadership, and that all stakeholder interests are adequately taken into account? If yes, what are they? Are these safeguards mature and robust enough to ensure protection of stakeholder interests and the model itself in the future? If no, what additional safeguards should be put in place? The answer is yes; no doubt ICANN has top level technical capabilities and may rely on a network of external relations of absolute excellence (like IETF, IAB, ITU, UNESCO, WIPO, etc.) to assure the continued security and stability of the Internet DNS. Concerning the other aspects connected to the protection of stakeholders interests, the guarantee is also strong. The JPA provides that before its termination, NTIA and ICANN are to collaborate on a DNS Project Report that will document ICANN’s policies and procedures designed and developed pursuant to the agreement. What should be included in this report? This report should contain not only the policies and procedures adopted in running operations but should elaborate about the ICANN model definition, and provide an indication of the characteristics that should be considered mandatory and aspects that could be subject to improvements. ISOC Italy, on the base of our answers to the 8 questions expressed in the NOI, recommends that the JPA be concluded, in line with the recommendations of our “mother house” ISOC. The substance is that we consider the ICANN model as the most appropriate to manage the Internet DNS; there is still space for continuous improvements but it is time to let the adolescent ICANN become adult, after 11 years of parental supervision by US government. 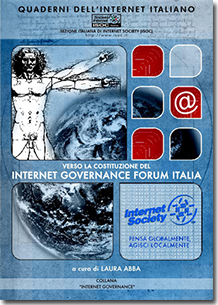 In front of a pressure from a number of countries (including China and Russia), and from the ITU, to replace the JPA with an inter-governmental framework, the Italian chapter of ISOC view is that this would undermine the achievements of the largely successful ICANN multi-stakeholder model. "The Continued Transition of the Technical Coordination and Management of the Internet Domain Name and Addressing System"